Sevai (சேவை) is nothing but idiappam (இடியாப்பம்) or string hoppers made slightly thicker than usual. Click here to find out how to make idiappam. Prepare idiappam in the same manner using a sieve that has slightly larger holes so that the strings are thicker than the usual idiappam. Alternatively, you may buy MTR rice sevai and boil it in water as instructed on the pack. Either way, prepare the required quantity of plain sevai and keep aside. Varieties of sevai can be prepared with different flavors such as lemon sevai, coconut sevai, vella sevai, curd sevai, and tamarind or puli sevai. Children enjoy variety sevai! 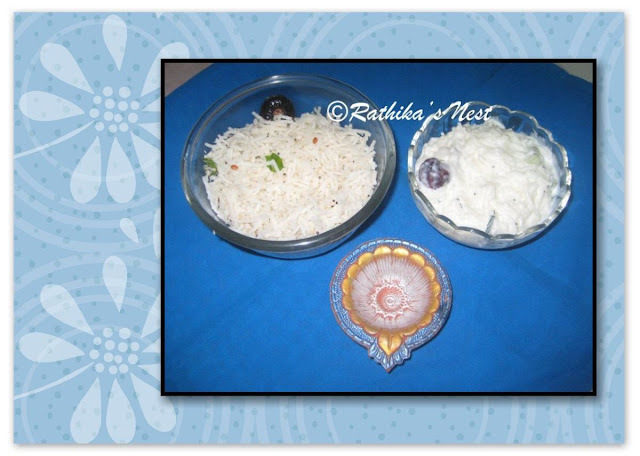 Today let me share the recipes of coconut sevai and curd sevai with you. Method: Break the string hoppers into smaller pieces and keep aside. Skip this step if you are using MTR rice sevai. Heat coconut oil in a kadai, add mustard seeds and when they start to sputter add the urad dhal. Fry till the dhal turns golden brown. 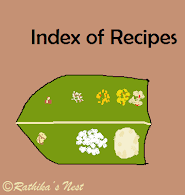 Add asafoetida, grated coconut, green chili and curry leaves. Saute for a minute and then switch off the stove. Now add sevai and mix gently. Coconut sevai is ready! Method: Break the string hoppers into smaller pieces and keep aside. Skip this step if you are using MTR rice sevai. Heat oil in a kadai, add red chilies; when they turn darker, add mustard seeds; and when the mustard seeds start to sputter add the urad dhal. Fry till the dhal turns golden brown. Switch off the stove. Now add sevai and mix gently. Add asafoetida, curds, and curry leaves. Mix well. Finally add in the milk and blend together. Curd sevai is ready! You may serve it chilled, if desired.